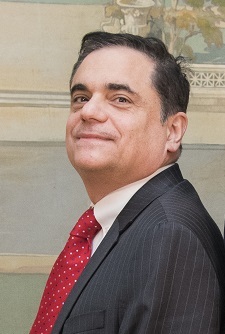 Dr. Ross Zafonte is a senior vice president of medical affairs at Spaulding Rehabilitation Hospital and chair of the Department of Physical Medicine and Rehabilitation at Harvard Medical School. He is a member of the leadership team of the Football Players Health Study, and leads a new area called medical navigation. How did you get involved with the Football Players Health Study at Harvard University? RZ: I got involved with the Study from the very beginning when the other collaborators and I talked about how we could address the needs of this very unique and important population. We are not only very interested in improving the health of these gentlemen, who are the “one percent of the one percent,” but also about using some of that knowledge to help others. You mentioned that this Study may be used to help other people in the future, both former football players and beyond. What do you envision that might look like? RZ: As we begin to learn the most important ways of preventing or limiting risk, we can use this knowledge to help other contact sport athletes, which is a very large population in North America, and then can we take some of the things we learn about training and risk factors to the broader population. So I think this has profound implications for everybody; most importantly, this work has implications for the target audience that we’re most interested in, which is former and current players. What have been the biggest accomplishments for the Study since it started several years ago? RZ: I think there have been tremendous accomplishments. Number one, this is the largest study of living former professional players ever, bar none. Number two, we’ve been able to focus on certain health conditions, such as those related to the heart, pain, and cognitive and behavioral issues. Number three, we’ve been able to launch and initiate a number of very important, focused, and targeted pilot projects that are going to yield some novel and innovative findings. We hope to advance all of these to a later stage so we can provide solutions for both former players and the next generation of athletes. What does the concept of ‘Whole Player, Whole Life’ mean to you? RZ: To me, “whole player, whole life” is an important concept, and it’s one that we came up with at the very beginning of the Study. This is not simply a concussion study or focused on those who have passed away, yet of course, these areas are important. It’s a study of living former professional players, some of whom have similar health complaints, and some of whom have different ones. And we’re trying to identify the key factors that have caused those outcomes. We’re addressing how we can develop innovations to prevent injury, and try to help the people who have those complaints right now. When you meet with former players, what do you tell them about why this Study is important? RZ: It’s the one study that I know of that’s not just focused on just one area. So when I meet gentlemen who have played in the game for a number of years, they often tell me they have multiple complaints. One thing that makes this Study very different is that it is the most in-depth analysis of the conditions and complaints that former players have. It is their best opportunity to be part of an initiative that aligns biology with those complaints, and to figure out how we can try to solve some of these problems. What do you want Study participants and their families to know about you? RZ: That I have a great appreciation for their work ethic and the respect they have for one another. I also recognize that the game they have played is difficult and that what they have done is remarkable. They should also know that I, along with our entire team, am dedicated to the health of former players and we are focused on doing research to find ways to make players’ lives a bit better every day.